Why stop at the wedding cake when you can have much, much more? 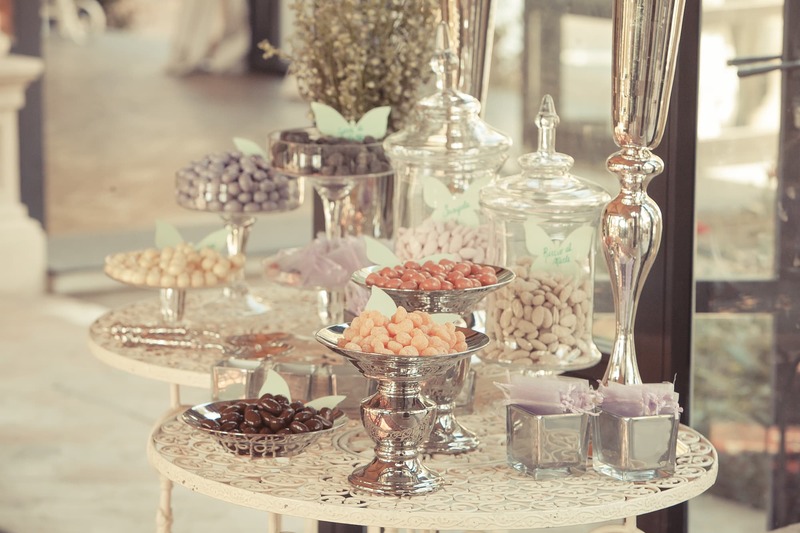 To take care of the little details of a wedding also means to delight your guests by working their appetite: set up a desserts and confetti table, it will be a huge hit with your sweet-toothed guests and will give that extra sparkle and pizzazz to your event! Confetti, macaroons, cake pops, and cupcakes all set on a decorated table can be an enthusing addition to the traditional wedding cake. If you want just a selection of confetti, choosing the flavours will not be an easy task, as there are so many different kinds to pick from: fruit, chocolate, champagne, or even more particular ones like tiramisu or Chianti. Our confetti tables for weddings normally offer five different flavours, placed in elegant glass pastry trays and bowls, positioned on a table decorated following your wedding’s theme. 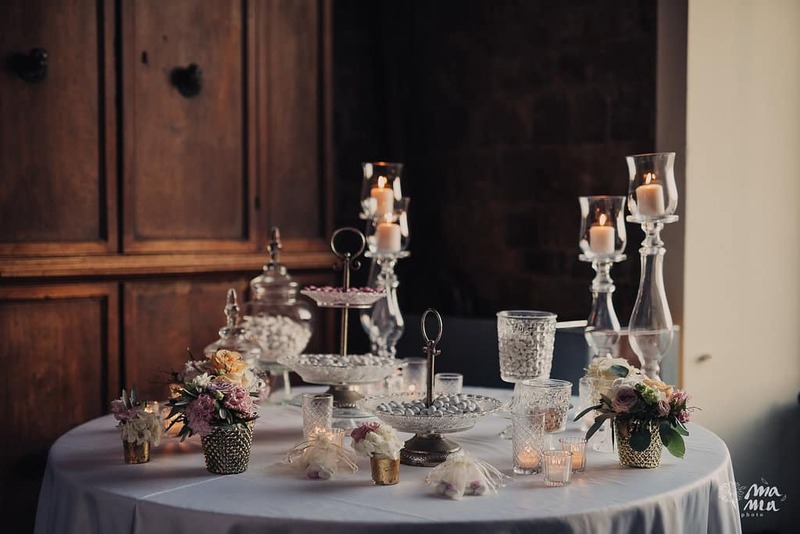 You can choose to add even more sweets and desserts, and offer your guests a stunning Sweet Table, which will be a pleasure for both their palates and their eyes.